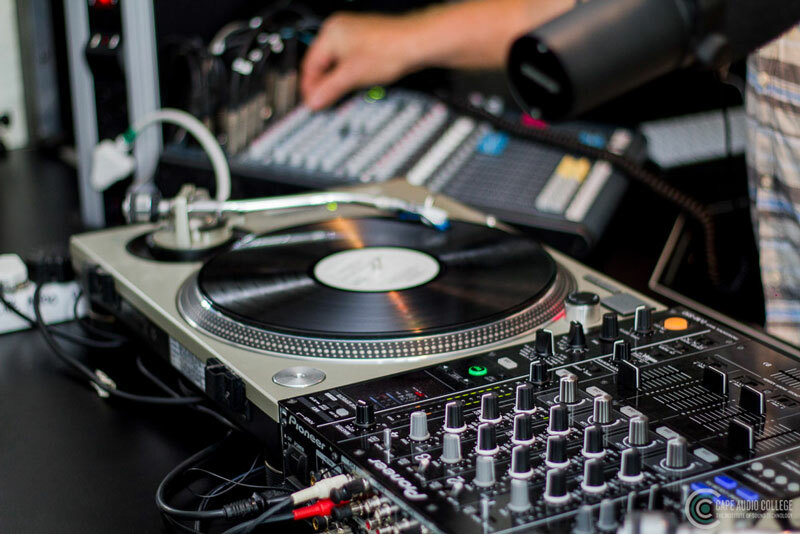 At Cape Audio College we pride ourselves in making sure that our college is the first in a long line of forward thinking initiatives that push the boundaries of learning. These initiatives greatly benefit our students on their paths in become world class sound engineers. 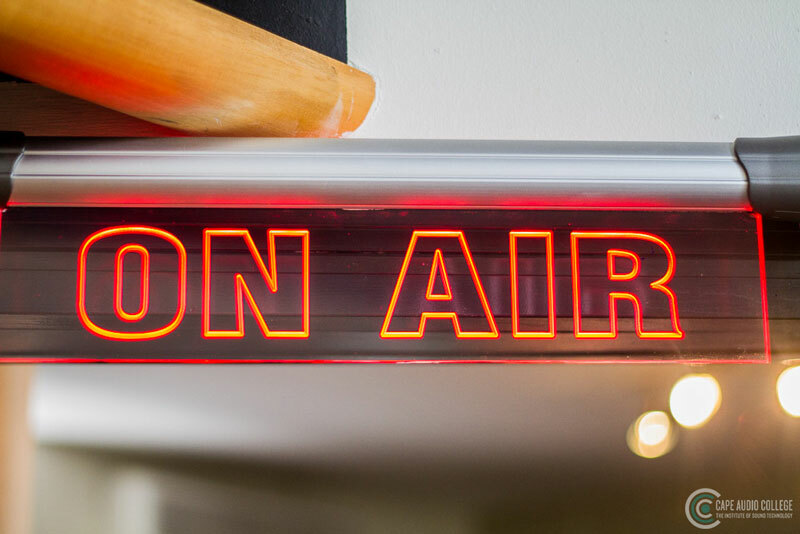 With radio still being a very important medium across the world, we decided to invest in an online radio station, making us the very first audio college in Africa to have a live broadcasting radio station. 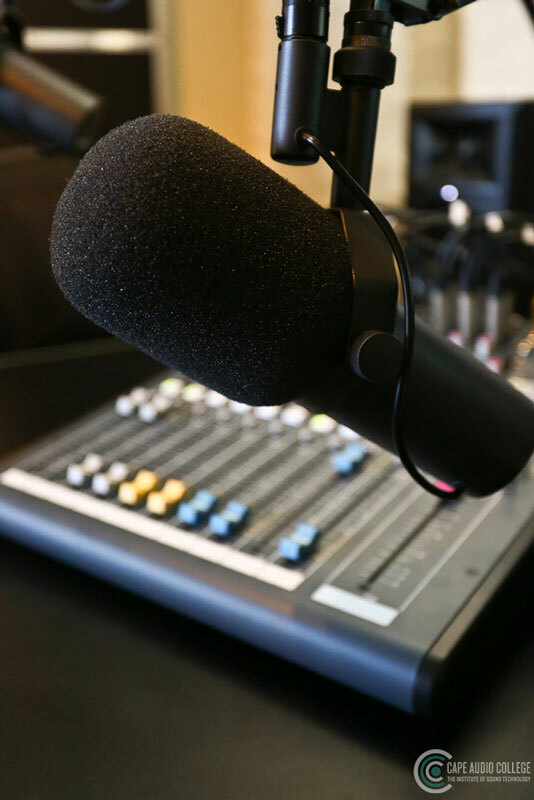 The aim of this radio station is to teach students different radio production methods and to allow them hands on experience as they utilise their skills in the real world of broadcasting. As an added bonus, students are given the opportunity to host their own shows and this opens up the world of presenting to them. 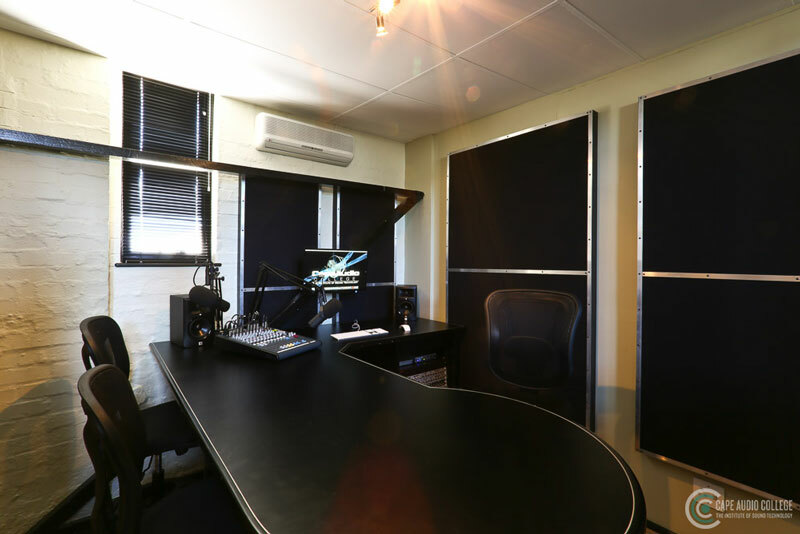 The radio station also gives the college the ability to work with our current partners Smile FM and Primidia in order for them to do live workshops at our facility in Mowbray. Our Campus Radio will have weekly schedules, with student making up the bulk of the live slots, and a few our staff members filling in here and there. As it is designed to be a training tool, students will have to stick to deadlines and work to a set production schedule. They will also have to supply a production plan for their shows and they will have to utilise their training in order to create their own show ID’s, stingers, bumpers, and ads. They will be allowed to showcase their own music that they have produced and will be allowed to advertise any events that they will be participating in. So, students will have a lot of creative freedom when it comes to their content, but, like in the real world they will have to report to a station manager who will guide and supervise them with their shows. 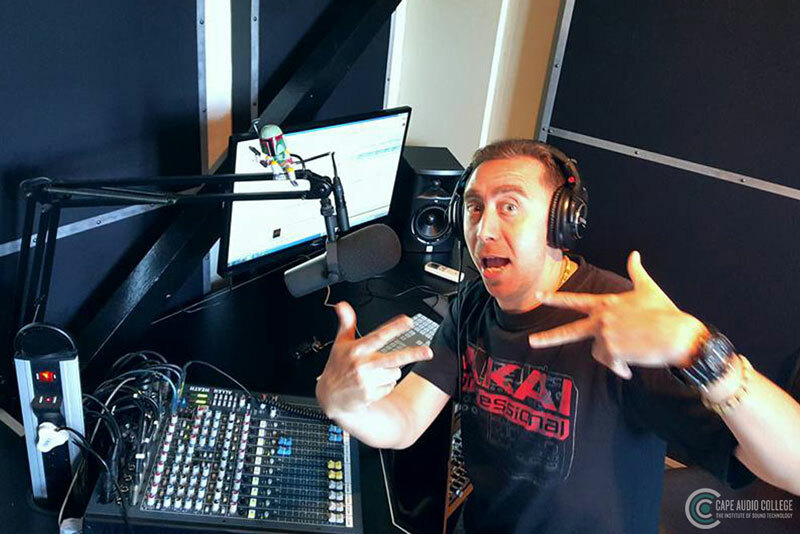 Our very own Bernard Knight will be taking on the role of station manager at Cape Audio Campus Radio. 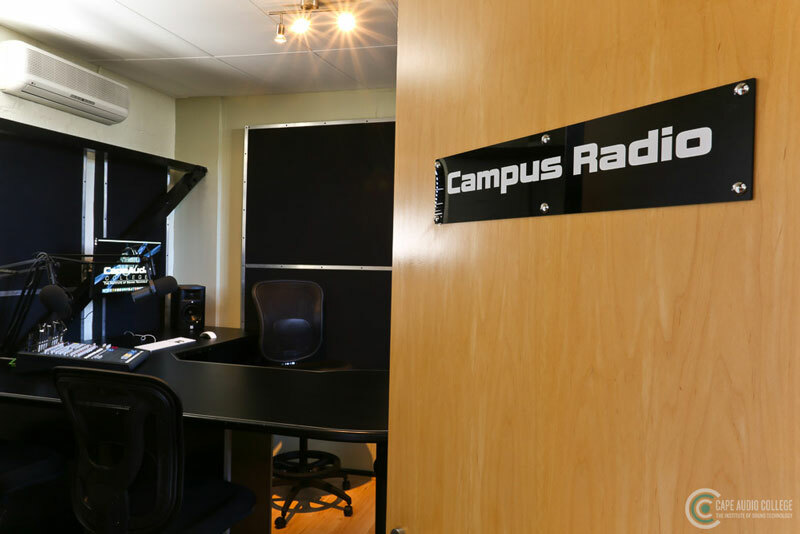 Cape Audio Campus Radio will officially launch on the 17th of February 2016, with shows that will run live from 10am-10pm Mo-Thu and 9am-3pm on Fridays, with repeats on the weekends and during the after-hours. The shows will be an eclectic mix of music genres that beautifully showcases the diverse musical interests of our students and staff members. 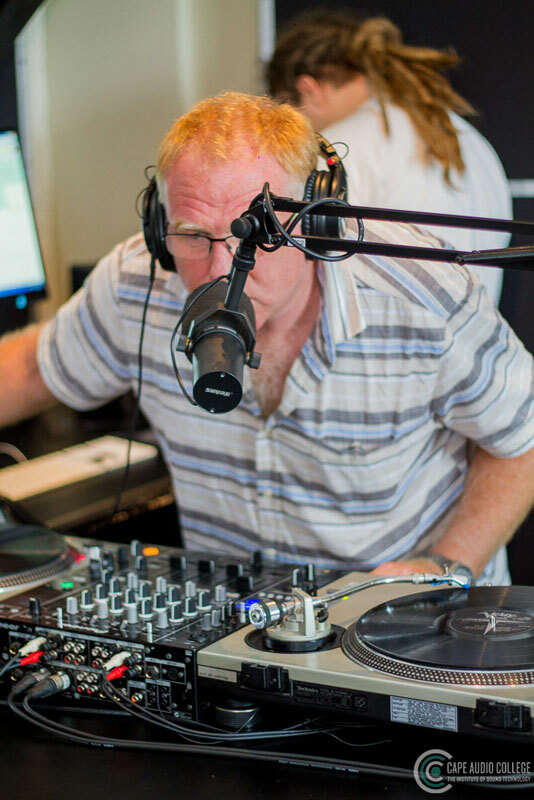 You can currently listen to a selection of shows like the Bass Pod, the Bass Station and Vinyl Dives live on our website, and soon on a Smart device as we launch our Android, Blackberry and iOS live streaming apps.